2018 was a busy year for our favourite top-hatted guitarist, with multiple launches including two signature guitars, a set of Seymour Duncan pickup covers, a mini-doc, and perhaps most importantly, a record with Myles Kennedy and the Conspirators, Living The Dream. 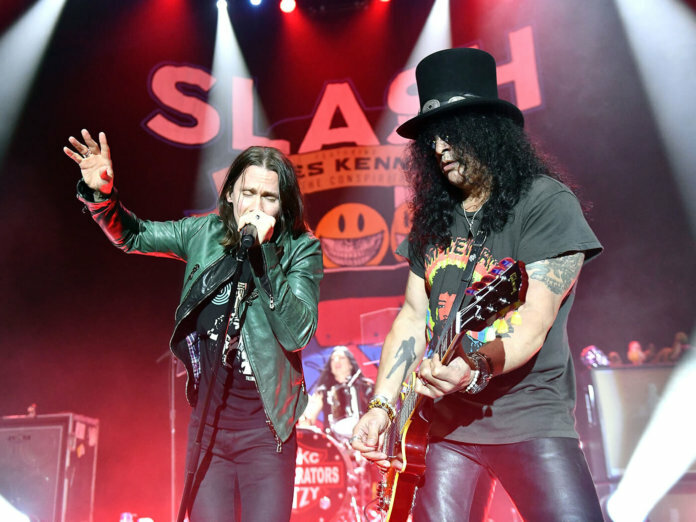 Since its release in September, Slash and the band have been promoting the album across the globe, most recently thrilling 6,000 fans in Brisbane, Australia. The band put on a show the fans won’t soon forget, tearing through the tracks off the new album as well as some older fan favourites. One of the highlights of the show had to be Slash’s unreal solo during the song, World On Fire. Check out a full review of the show on our sister publication, Lab.fm.